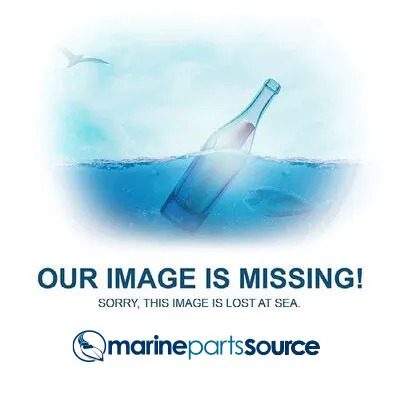 We receive a number of calls from customers asking about using a car distributor as a replacement part for the marine distributor on their boat. An automotive part may not cause an issue but, in our experience, the risk is too great, especially when it comes to a marine distributor because the differences are significant. Since you buy insurance for your boat, you want to pay for the right marine equipment and make sure both your claim and passengers are covered. Ask any electrician, and they will tell you the electrical systems on a boat are specialized and, unless he holds an ABYC Electrical Certification, he won’t install an automotive distributor in place of a marine distributor. Here’s one major reason why. In a car, any gasoline vapors that accumulate will readily dissipate through the bottom of the engine compartment. However, a boat with its sealed engine compartment does not have that option. Any spark could cause your boat to explode - literally. A marine distributor is “spark protected” with a fine mesh screen covering the openings to absorb the heat in case of an explosion. A combustible mixture can get inside the distributor and ignite if the air-to-fuel ratio is off. The wire mesh keeps the flame inside and cools it enough while the expanded gases pass through. The flame arrestor is only as effective as the material from which it is made. Enough heat absorbing surface made of several layers of copper or aluminum is required to extinguish the flame. With an automotive distributor, a screen is added but with no further precaution necessary. In addition to extra spark arresting protection, other parts like spark plug wire sets, distributor caps, and rotors, are made specifically for marine applications to combat corrosion due to the wet environment. Just as the car-driving public enjoys the safety measures of the National Highway Traffic Safety Administration (NHTSA), the boating industry and its safety are governed by U.S. Coast Guard regulations and organizations like The American Boat & Yacht Council (ABYC), which upholds industry standards. Almost every country in Europe and province in Canada which regulate boat safety require marine distributors to be ignition protected. If the distributor is sealed, nothing else is required. If the distributor is vented, then it needs to be ignition protected. In fact, any electrical or electronic equipment occupying a space where explosive fumes can accumulate is required to be ignition protected. This includes marine alternators, starters, battery chargers, marine switches, marine circuit breakers, and so on. All of our marine distributors are SAE J1171 certified for use in marine applications.